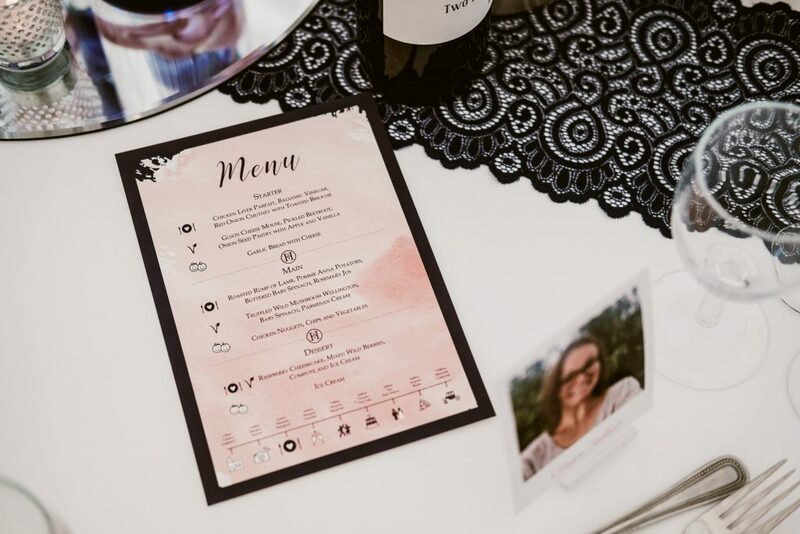 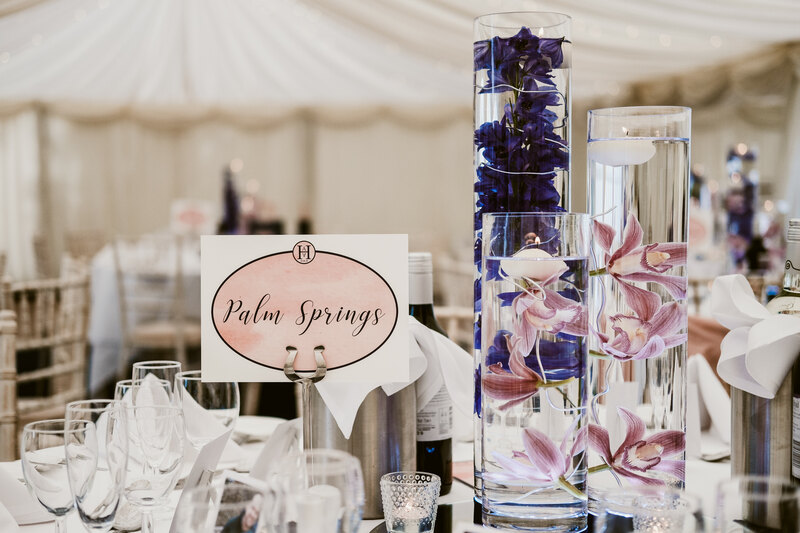 Working with Anna on this bespoke design was amazing, not only is she one of the loveliest people but she was so passionate about her stationery. 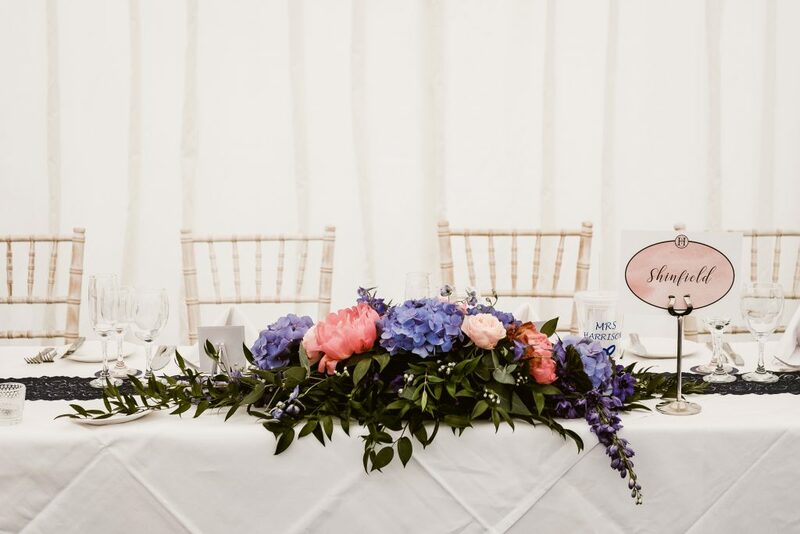 Anna came to me with her wedding colours and a few ideas for design. 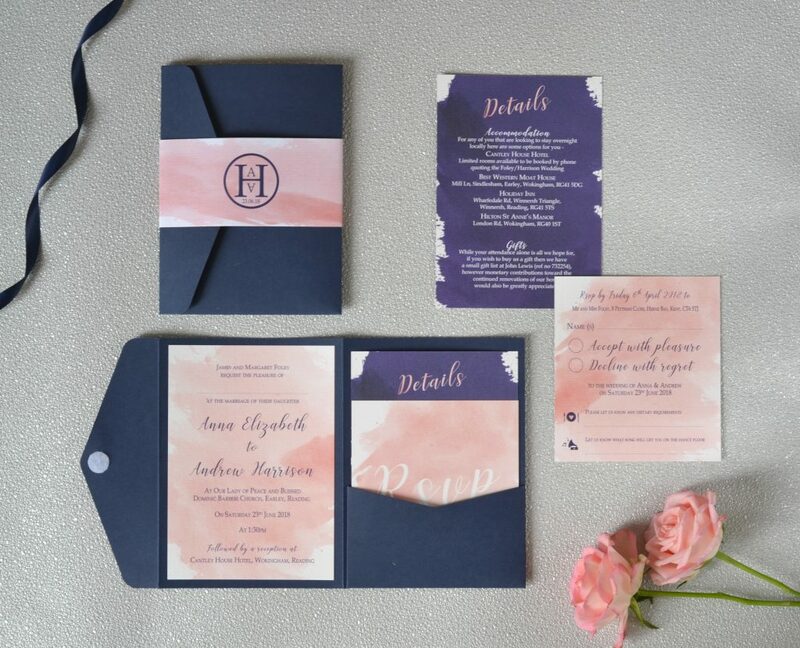 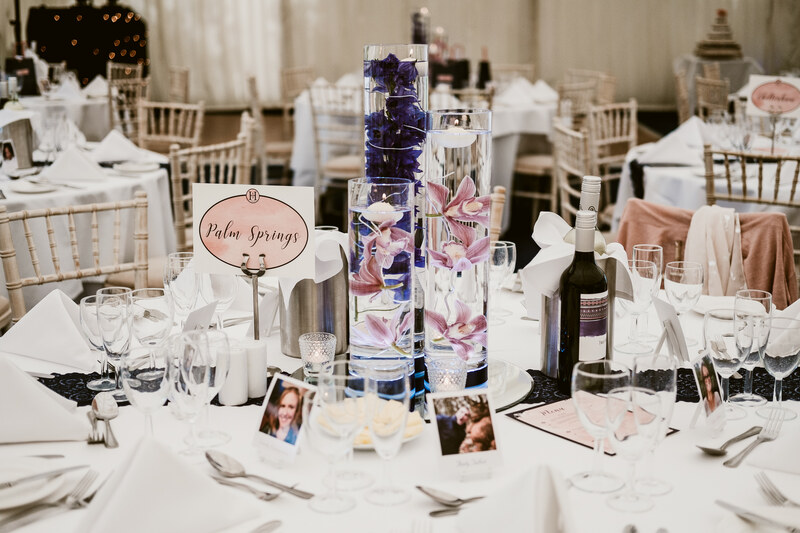 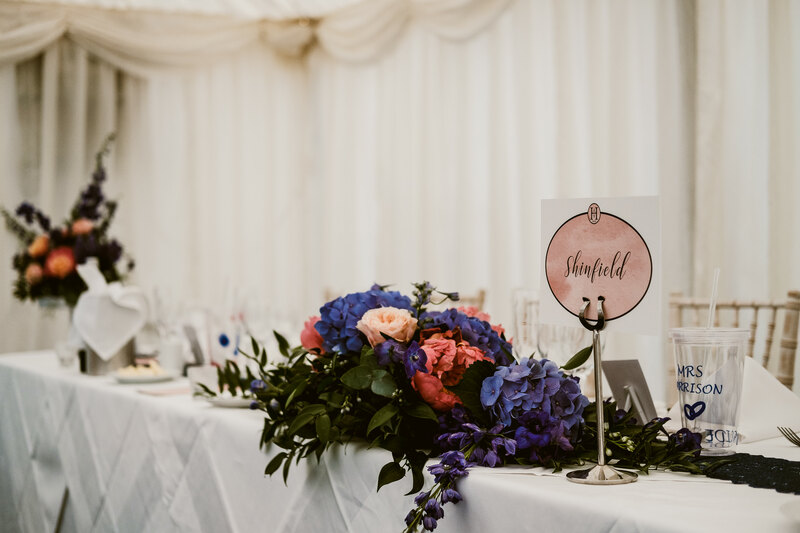 We used our watercolour range as a basis, and combined this with her navy and blush pink colour scheme. 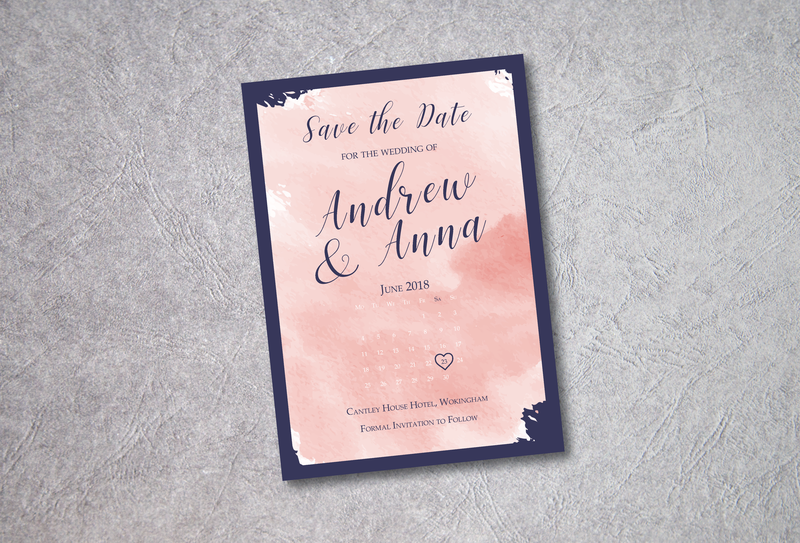 We started with save the date cards featuring a calendar design with a heart to show the date. 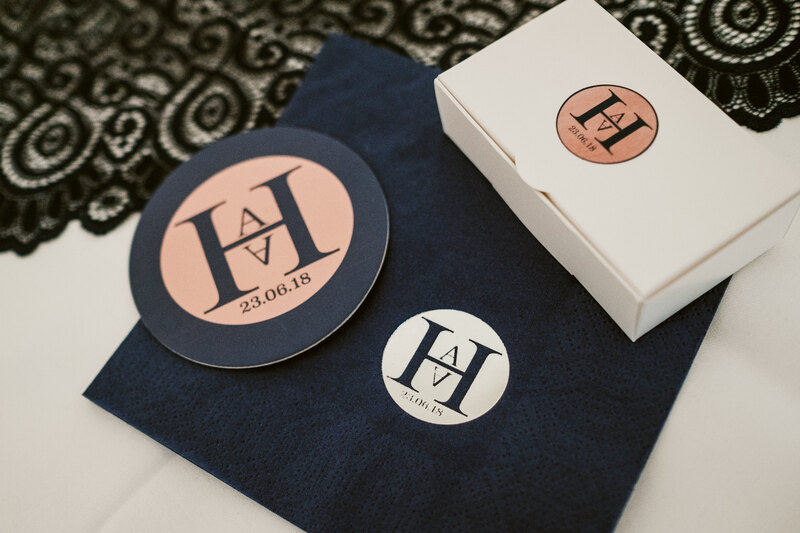 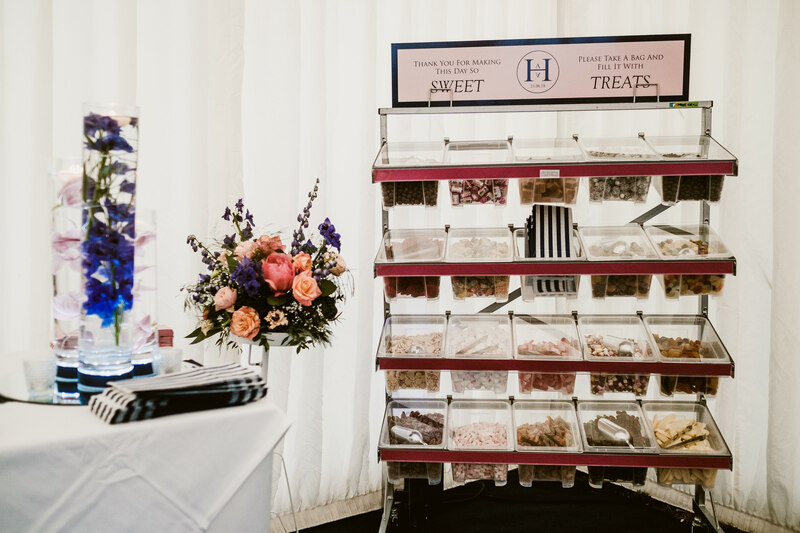 As I mentioned above, Anna was in love with stationery and used her logo to create gift bags, sweet station signage,, coasters, napkins, cake boxes! 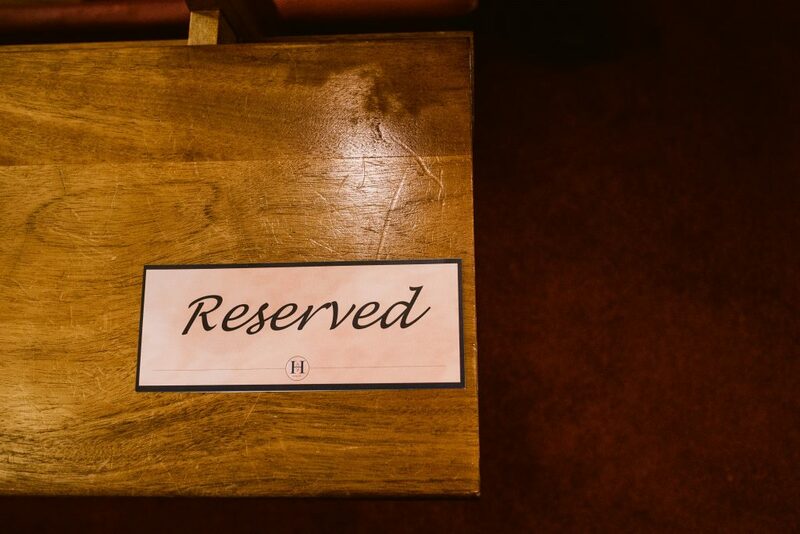 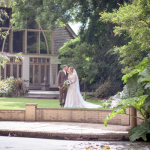 Anna & Andrew got married in Reading, followed by a reception at Cantley House Hotel. 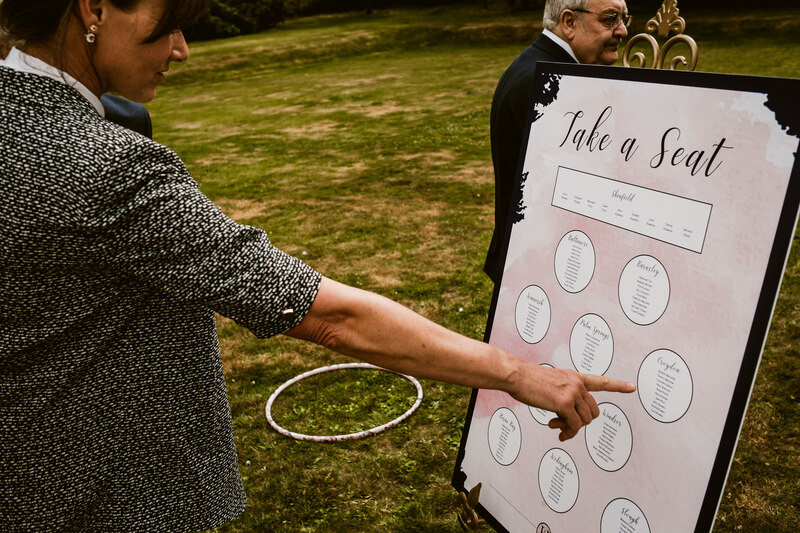 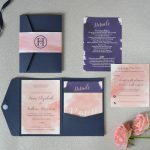 What on the day wedding stationery do I need? 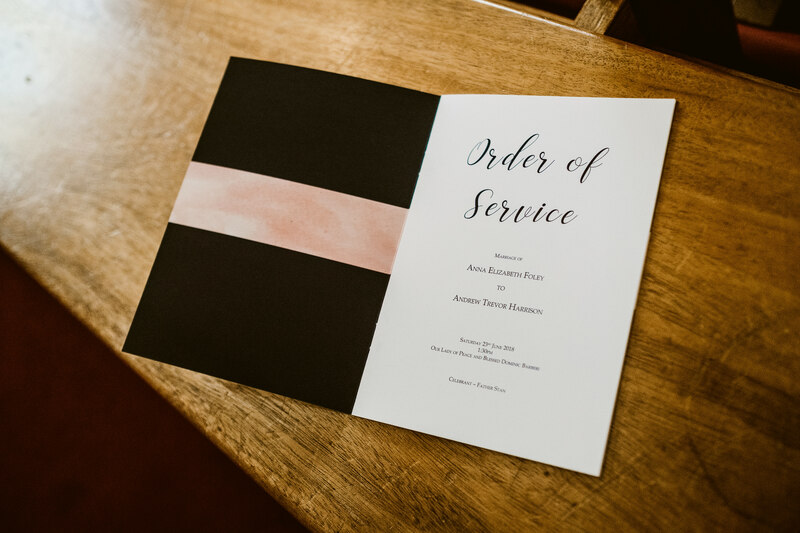 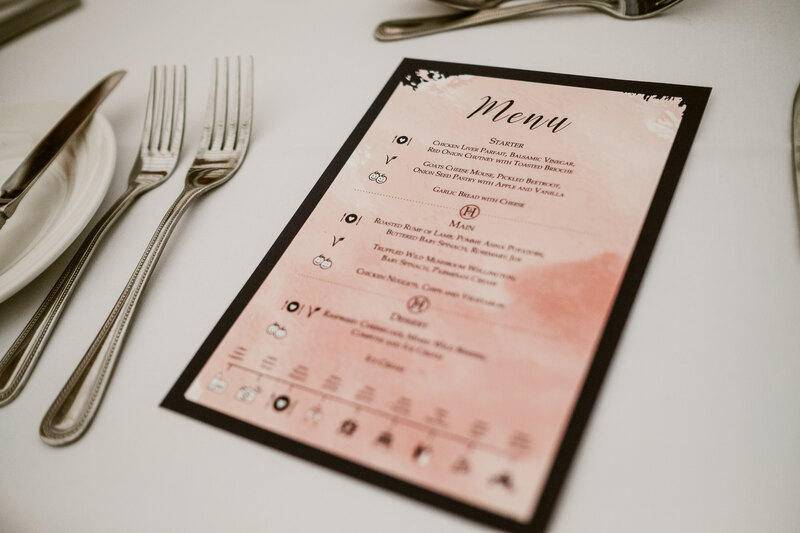 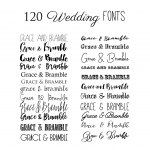 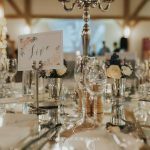 Grace and Bramble works along side each client to create beautiful and bespoke wedding stationery, including unique and hand finished save the dates, invitations and on the day designs. 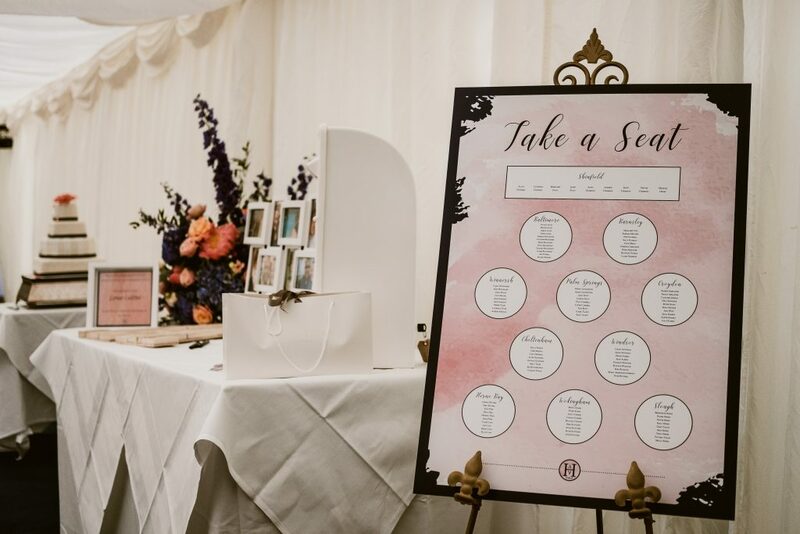 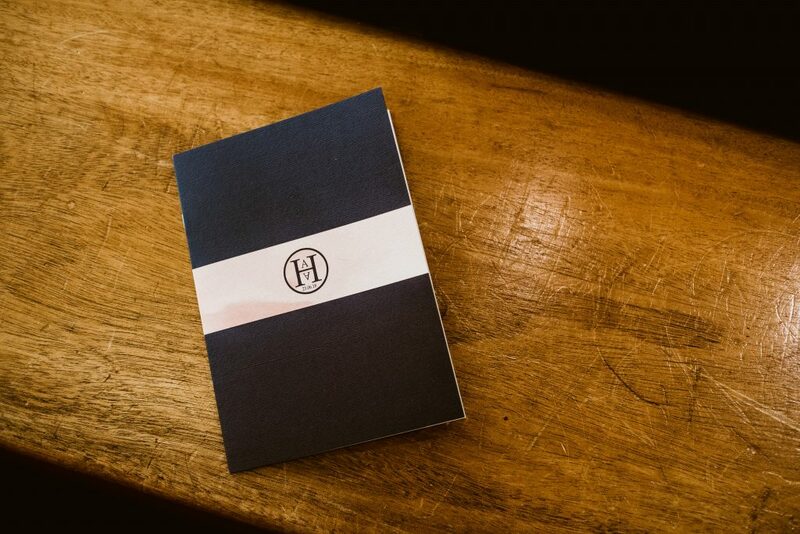 Providing a personalised service from start to finish, we are based in Berkshire, UK and work from our home studio creating stationery which goes out across the globe.